Some people level criticisms at the practice of reciting affirmations (for hours on end), saying this doesn’t [always] bring about the results that speakers and the self-improvement books may promise. It turns out that there is good reason that positive affirmation may be inadequate for making significant (manifesting) changes. This study indicates that significant positive effects are predictably going to be found by meditators that are following mindfulness practices. In fact, the study results indicate that attaining mindfulness is key to positive beneficial results. 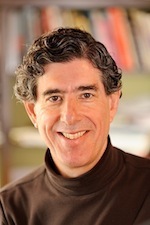 “Our genes are quite dynamic in their expression and these results suggest that the calmness of our mind can actually have a potential influence on their expression,” says study author Richard J. Davidson, founder of the Center for Investigating Healthy Minds; the William James and Vilas Professor of Psychology and Psychiatry at the University of Wisconsin-Madison. People that suffer from inflammatory conditions (rheumatoid arthritis, inflammatory bowel disease and asthma) probably may benefit from mindfulness meditation techniques, according to the study. “To the best of our knowledge, this is the first paper that shows rapid alterations in gene expression within subjects associated with mindfulness meditation practice,” says Davidson. This and related investigations strongly indicate that a mind will adjust the body’s biology to fit with beliefs. In short, these studies confirm the adage that you are what you think. Since people are typically conflicted, this may seem sometimes untrue. However, I’ll post additional studies in the future — it’s no longer a cliché. The emphasis and focus of Davidson’s current work is on interactions between prefrontal cortex and the amygdala and on regulation of emotion in both normal subjects and patients with affective and anxiety disorders. He’s been working extensively with meditation and particularly with developing easy to use mindfulness meditation technique. His previously successful research studies focused on cortical and subcortical substrates of emotion and affective disorders, including depression and anxiety. His works raised clamor occasionally for two reasons. First, his tenant that happiness is a skill that just about anyone can learn causes occasional stirring amongst patient groups for those that suffer from prolonged sadness. Second, he is a friend of the 14th Dalai Lama and this set off some a protest about the validity of his research. Looking into this, I am pleased to find that his work is impeccable and that outcome results are impressive. How may this new research evidence be useful? First, certainly, developing a practice that includes mindfulness is a positive activity. The studies demonstrate that mindfulness is linked to improved health and is useful for managing pain. Further study is warranted and its expected that continuing research may help to define how mindfulness meditation may improve outcomes for those that suffer mentally and emotionally. Additionally, new brain imaging and chemical monitoring may lead to additional findings and methods for regulating emotion and may even be useful to diminish mental health problems such as anxiety, bipolar disorder, or major depression. From Life to Lab: Early Adversity, Brain Circuitry, and the Emergence of Well-Being (by Richard J. Davidson, Ph.D., University of Wisconsin-Madison) with my favorite happiness guru, Matthieu Ricard in some of the discussion on emotion and on meditation; factors that generally may increase or decrease well-being, happiness, authenticity, compassion, peace, and joy. The program includes a presentation (forward to 14:00 minutes) to the 14th Dalai Lama that covers how stress and conditions of adversity or abuse effect brains and how self-regulation and brain growth may develop depending on conditions during youth. Davidson speaks briefly about a Madison, WI public school initiative that teaches mindfulness meditation to school children and the positive outcomes there. see also: The Mind and Life Institute and Mindful: taking time for what matters. Teachers who practice “mindfulness” are better able to reduce their own levels of stress and prevent burnout, according to a new study conducted by the Center for Investigating Healthy Minds (CIHM) at the University of Wisconsin-Madison Waisman Center. MADISON – Groundbreaking research at the University of Wisconsin–Madison is the focus of the new documentary film, “Free the Mind,” which debuts in Madison tomorrow, May 15. Event organizers today announced that the Dalai Lama will visit Madison on May 15, 2013, to lead “Change your Mind Change the World 2013,” a series of panel discussions with thought leaders from a variety of fields, including neuroscience, economics and sustainability, moderated by Arianna Huffington and Daniel Goleman. Neuroscientists should help to develop compelling digital games that boost brain function and improve well-being, say two professors specializing in the field in a commentary article published in the science journal Nature. It has long been known that the part of the brain called the amygdala is responsible for recognition of a threat and knowing whether to fight or flee from the danger. People suffering from chronic inflammatory conditions, such as rheumatoid arthritis, inflammatory bowel disease and asthma — in which psychological stress plays a major role — may benefit from mindfulness meditation techniques, according to a study by University of Wisconsin-Madison neuroscientists with the Center for Investigating Healthy Minds at the Waisman Center. Meditation can change the way a person experiences pain, according to a new study by UW-Madison neuroscientists. Odds are, you’re not going to make it all the way through this article without thinking about something else. Building on more than 30 years of cutting-edge brain research, a new book by UW–Madison psychology and psychiatry professor Richard J. Davidson offers an inside look into how emotions are coded in our brains and our power to control them. I know that God has a plan for me and us? Reblogged this on Charisma DeZonie. I posted an article about how abuse alters the mind and causes life-long maladaptive behavior in children that is irreversible. I disagree. I overcame severe maladaptive behavior, traded it for inner peace and self-confidence. I believe if my brain had been monitored that scientists would see a regeneration of whatever my parents’ abuse took from me. I learned compassion in the face of abusive confrontation via submersion therapy. While working with juvenile offenders, I was verbally and physically abused. I was forced to face my insecurity, because it was crucial for me to have a positive self-esteem, to be mentally and emotionally strong, if I was going to succeed in helping these boys. After much practice, I stopped caring about avenging on my injured pride and started caring about healing their emotional trauma sustained at the hand of abusive parents. I know the juvenile offenders at least helped me as much as I helped them. Compassion is a choice. Implementing choices is a habit that must be continually practiced. I posit that altruism is not innate; it must be learned. With the choice to live with compassion is the greater gift of self-confidence and inner peace. I understand about facing insecurity to be able to work with others. I had to be myself to be successful as both a white male transition coordinator and as an instructor for inner city youth. If I’d had any insecurity about myself in my work it wouldn’t have been at all good for any of us. You are not typical then – as by what you were able to do. I noticed what was best to do suddenly and intuitively – and then how to improve came somewhat gradually afterwards in more depth. Compassion is a choice. Honesty, openness and so on – being genuine, actually caring to learn as much from them as they from me – it was a sort of magical happening. I’d not had a clue and then in a matter of no time, I was an expert. You had it tougher. In my place, they owed me some respect from the get go. I’ll like getting to learn more about your experiences. Thanks for taking this time that you did to make comments. Your welcome. Cool to meet someone who does the same kind of work as me. I worked with many gang members, well, mostly gang members. I’ll tell you all about it sometime if you want. We can swap notes on counseling techniques. That would be fun. Actually, I agree that mindfulness therapy has practical application when couple with cognitive-behavioral therapy. Meditation gives us time to think. For example, I am challenged with Generalized Anxiety Disorder (GAD). In a stressful situation, my neurotransmitters do not function properly, which results in a burning sensation in my throat and lung. When I began focusing on separating the physical pain from my psychological fallacy “I’m in pain, therefore I am in danger”, I realized that by concentrating I could think through the pain, so that I no longer allowed the pain to consume my rational thought. Interestingly, I also realized that the pain affected the right lung and not the left-so I was able to identify that the pain was localized. I also was able to generate rational thoughts, such as “I don’t like crowds, but I am relatively safe and the situation is temporary” or “Okay, I made a mistake, but it’s not the first time, everyone makes mistakes, and it’s a learning opportunity.” So mindfulness therapy is not magical, it is a deliberate and practical coping mechanism and an a learning tool that affords the gift of insight. Great posting. Gives me encouragement. I especially liked the bit about teachers who practice mindfulness. Thank you. TY. I didn’t finish looking through all of the resources yet. I noticed in my research so far though that Dalai Lama and Matthieu Ricard have been involved with other mindfulness practitioners — all along. Not only Davidson, but a host of others are on to this discovery — and its been building since the early 1980s and growing in the 90s and now exploding all over the place. God’s Holy Spirit is bringing together the greatest good and the opposition is as we may expect shallow and short lived and full of defiance, pride and indignation. It is still difficult to bring many to know the in-dwelling of the Holy Spirit. However, I know completely that God’s will is being done. 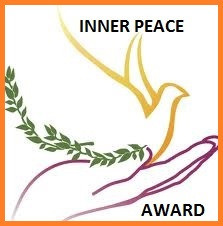 This research and plenty of other inner peace and compassion posts will be on my blog. These are a gift to the faithful. My eyes popped when I saw that these practices are gaining recognition in schools. I certainly will be placing more about that in my blog. Thanks for looking Kimberly. Thanks for sharing in the abundance of God’s love and grace.